As an advocate for technology users and affordable, Innovative technology for all, I was extremely excited to discover a passion for providing simple internet technology to the billions of people currently unable to afford it, in Suneet Tuli. 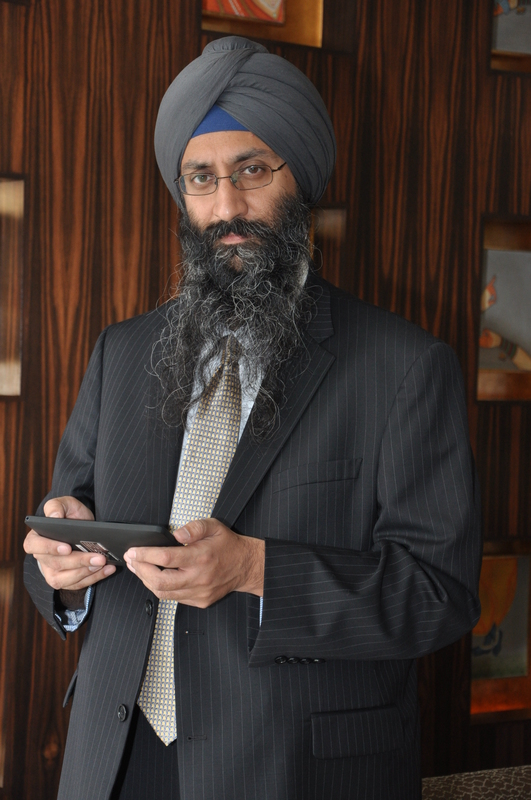 Suneet is President and CEO of DataWind, which launched the Aakash low-cost tablet computer in October 2011 in New Delhi. Dubbed the world’s least expensive tablet, and designed to be provided free of charge to Indian university students, the Aaksash was developed to link India’s many thousands of colleges and universities in an innovative e-learning program. 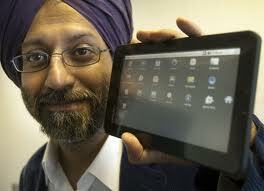 I spoke with Suneet just prior to their launch of UbiSlate, the commercial version of their tablet technology. Firstly, congratulations Suneet. I think the Aakash initiative is wonderful. Thank you, we’re having some fun, and it’s an interesting kind of ride. The requirements, demand and need is huge, and we think that we – though not just us, but also others who play in the field – are going to end up changing the world for the better. I wish you much success with that goal! That certainly was our impetus for starting KimmiC. I’m the first to admit that it does sound audacious, but I think that audacity is quite necessary when you take on challenges like this. It really is. When I talked about it six months ago and said, “this is technology to bring the next billion people on board,” I was seen as being audacious, or ‘reaching a little bit.‘ Today I’m seen a little differently. It [Aakash] is endorsed by many others now, such as Carl Bildt, the former Prime Minister of Sweden. At the World Economic Forum in Davos [where Suneet spoke in October 2011] they had a huge billboard of our device and a discussion forum on the impact of it on the world. I truly believe that not only is ‘internet for the billions’ coming, but it really is going to change the world. This is a project that started in India, and now there are countries around the world that are implementing similar projects. In India alone they have put together a Mission Statement saying that they’d like to equip all 220 million students in the country with low cost internet devices. Apart from India, if you look at the countries that have invited us to talk, and that are looking to put together similar projects, that’s over a 100 million units. That’s not to say that we would necessarily win all of the projects, but we think that its the dream that’s important. That, and the fact that governments are implementing this aggressively, will have a snowball effect. When you say ‘we’, I take it you are referencing your brother Raja and yourself, is that correct? Yes, this is the third venture he and I have done together. In each one Raja runs the technology, R&D and manufacturing teams and I look after the sales, marketing and operations. What was you impetus for beginning the project? We had created a technology that reduces bandwidth consumption and consumption of the internet on standard GPRS mobile networks. Today there are six billion mobile phone connections and 2 billion internet users – the billions of people within that gap don’t have access to any kind of broadband infrastructure, the only access they have is via standard GPRS mobile networks. We created a technology, for which we received 18 US patents, that allows us to deliver the internet on those [GPRS] networks. We can deliver this network with no new infrastructure and for a very low monthly cost – potentially even for free. This technology is really applicable to our market segment, and gives us the opportunity to pursue our personal mission. Even though we grew up in Canada, coming from India and seeing what is happening in those markets, we know the difference between the ‘haves’ and ‘have nots’ is the digital divide and the quality of education. Our belief is that the best way to power a better quality of education is through computers and the internet. Places like India and Africa will not, in a reasonable period of time, be able to teach enough teachers and professors, and build enough ‘brick and mortar’ universities, to impact enough of the population. For instance, there’s 350 million people in India that cannot read or write. Its an outrageously large number, and yet, its so easily solved – at least a dent can be made in it through technology. Technology has changed so significantly, not just in the last five or ten years, but in the last two years. Look at products like the iPad. This is a product that comes without a User Manual. You take it out of the box and are expected to know that the only button you’re going to press is the one that’s on the device. Three and four year olds today utilise these kinds of products and play simple games. Touch screens and graphical interfaces are so powerful, we think that they can really make an impact on delivering a better quality of education. Based on the technology we’ve created and our personal goals, that better quality of education is something that we can help achieve. For a number of years I’ve been involved with a charity called Room to Read which builds schools and libraries in the developing world. The main reason I got involved with it is I truly believe that the best way to create a safer world is to educate people, and empower education and educators. I agree with you. I think that education really can solve all kinds of issues. I get people who criticise this idea, saying, “Yeah, but in India where so many don’t have access to clean drinking water, isn’t this [focus on education] a waste?” My response is: THIS is what is going to help bring clean drinking water. Education is what is going to enable and empower an individual to bring clean drinking water to his or her village or community. And, why not other world changing Innovation as well?! Oh yeah. Any issue that you can think of I can talk back towards education. It seems that, along with education, your product is about empowering the user, which I believe is integral to the next jump in technology. And it involves the whole ecosystem; for instance, its not just the device, you’ve also got to have anytime/anywhere internet access. This is why mobile phone, cellular connectivity is very important. As well, the technology has got to be affordable and its got to have an open ecosystem for content and apps. We’ve launched scholarships and competitions in India around content and apps to help encourage students, and others, to create apps and even start their own entrepreneurial journey. This creates localised innovation. In every single country we’re working in, we’re pushing for domestic manufacture, because you can’t expect to solve problems if you don’t manufacture locally. You can’t expect to understand what the problems and solutions are, and drive local innovation, if you’re just going to get cartons full of boxes from somewhere else. Sitting in Canada and the US we see it – the manufacturing industries here have been devastated, and the skill-set is no longer here. You mentioned apps and, in one of the pieces I read while doing my research for our chat, I understood that users were not able to load free software onto the tablet. Was that a correct interpretation? That’s a common misunderstanding, but one that is not correct at all. What we’ve done is, instead of using the Google/Android marketplace we’ve used Getjar. We chose Getjar because it forces all the apps to be free and all active operators to make money purely off of advertising. This is essential in India since, for instance, on the the Android market, while 80% of the apps are free, 20% of the useful apps are actually paid [for]. Even though its only 99 cents, the problem for my customer is that they have no ability to make online payments. As an open source operating system, we don’t restrict anyone from installing any apps. However, we obviously pre-burn in certain apps, from which we generate advertising revenue. This is important to our full service ecosystem of revenue streams to help drive the cost of hardware down. But, it doesn’t mean you can’t install apps. So you’re not trying to control the economic and application ecosystem. We don’t control it, but we want to earn revenue from it – those are two different concepts. It’s an open source platform so you can install whatever you want, but we will have five stores on the site – we will have eBook, multimedia, game, apps and educational content stores. You can go to Getjar and independently load your apps, but we’re going to encourage certain apps and certain environments, which we think are important for our customer base, as we’re positioning the product towards education. We understand a lot of our devices will end up there, so we need to have an educational app store that can promote educational content. Building an ecosystem doesn’t mean that we’re restricting open access to it. We will have a monetary and strategic interest in the apps we promote because they’re in line with how we want our product to be perceived. I downloaded some slides from a presentation you made last year, and in them you mention your carrier class technology. Does this tech essentially create and control distribution and interaction with the tablet? There are two browsers on the device. One is the standard Android browser, but the difficulty and problem with it is its data consumption. In the Indian environment this will result in an average of 400 – 500 rupees per month ($10 dollars per month) in data costs. That is one problem, the second is the slow experience due to how congested the networks are. On the other side is our browser, which uses our backend proxy acceleration system. On that system we’re able to deliver the equivalent of unlimited internet access for about $2 dollars [per month] and its significantly faster than what you’d get without it. The user has a choice of using either one of those solutions, but we believe they’ll choose ours because of the speed and lower amounts of data consumption. And if they choose to use yours, its your servers that do the actual ‘grunt work’ therefore saving energy – the consumption of energy is by the server rather than the device. Right. The result is that you consume a lot less bandwidth, the costs go down, and it’s faster. We shift the burden away from the client device onto our servers, but again, its their choice which browser they use. 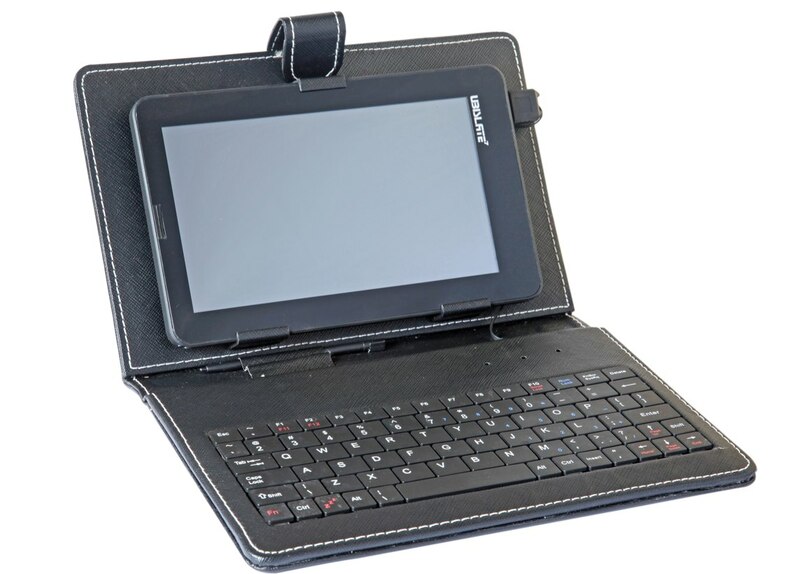 Speaking of choice, why was the name Aakash chosen for the tablet? The name was chosen by the Indian Human Resources Development Minister, Kapil Sibal, who has education as part of his portfolio. Aakash means Sky in Hindi, and I believe he meant it in reference to the fact that he wants kids to reach for the sky. The product that we will launch commercially will be called the UbiSlate and the key differentiator between the two is the mobile network connectivity. The version the government ordered was built to their tight specifications, which only has wifi connectivity. Their thinking was that, because they [the government] were providing access on their [college] campuses, that that should be sufficient. We believe that isn’t’ sufficient, and that you want access everywhere. You need access beyond the campus, which you will have with the commercial UbiSlate. So those articles written after that initial testing process of the Aakash, which had somewhat negative responses from the beta users, were judging the technology on a somewhat unfinished, or less than perfect, product. I think that they were judging us on the specs that IIT-Rajasthan set. We won a tender that they put out and built [the technology] to the specs that they wanted. We’ve proposed a different spec product to the government, which now they’ve agreed to conceptually, for the Aakash 2. The issues they ran into were a lot more than just specs. The National Mission for Education for ICT (NMEICT) has made a great deal of effort over the last few years to create a lot of great digital content – tens of thousands of eBooks, online lectures and virtual labs and things of that nature. Unfortunately, for the purposes of the trial, that content wan’t integrated into the devices. The feedback we got [from the students] wasn’t a surprise: “its not as fast as playing games on the iPad; its not as cool as the iPad; the network connectivity is spotty, at best, using the university wifi, and it doesn’t have any connectivity beyond that.” It was a learning curve for all parties. But, our role was to deliver the product that they [the government] required. The focus for the government was cost and we were able to deliver to them a cost breakthrough that literally had people’s jaws drop. It’s not, as I said, the UbiSlate that we’re about to launch. I believe our performance can, and will, be better judged when we launch that commercially. Do you think it fair that your tablets will be judged against products, such as the iPad, which has unlimited budgets and high prices? And, noting that people may often purchase Apple products due to the cachet of their brand, how valuable do you want your own brand to be? I don’t want people to have to pay a premium because of a perceived brand. I want to make our products viable for a person on a $100 per month salary. While in the West we’ve become accustomed to product positioning where you’ll pay a premium for a brand, in our scenario we’re not looking to maximise price, we’re trying to maximise customers. In our business model we focus away from hardware margins. Hardware is the customer acquisition tool, and our intent is to drive hardware costs down as low as we can and, instead, try to generate revenue from network services costs and advertising. We believe that has the potential to get those billions of people on board. Have you plans on how are you going to differentiate your tablets from competitors, such as BSNL, who have recently come on the scene? The big differentiator is the connectivity. We think that the fatal flaw with a [BSNL] product of that nature is that it doesn’t have mobile connectivity. And compare [our] 2,500 rupees vs [their] 3,200 rupees [price], not only is [theirs] 30% higher in cost, but its only wifi enabled. If you look at the Indian environment there are 18 million broadband connections serving only those people that have wifi – and those 18 million are probably the wealthiest people in India. And they probably have an iPad. They have. And, they can afford wifi and products which are at a multiple of this price. They’re not going to purchase these [low cost] products. The question is what connectivity does the guy who can afford only 2,500 rupees have? The only connectivity he can afford is often a mobile network. BSNL has launched three devices, and the only one with mobile connectivity is three times the price. And finally, are you looking to partner/joint venture with anyone to broaden the capability of your tablets? We are. We have a number of deals done which we’ll be announcing them once we are ready to launch the product commercially.